Your battery may have reached the end of its service life (often 4 or 5 years). A parasitic drain is depleting battery power. A problem in an electrical system is affecting battery power. Many battery-related problems can be diagnosed at home with a visual inspection, a digital multimeter, or an inexpensive hydrometer, available at most auto parts stores. This guide shows you how to apply some simple tests to find the cause of your battery failure. These tests are easy to apply for the average car owner. Still, you'll be advised when it's time to take your battery to a shop, if necessary, to confirm a diagnosis. So let's find out why your car battery doesn't hold a charge. Do a battery terminal test. Do a battery voltage test. Do a quick charging system check. Check for battery leakage (and fix any leaks). Do a battery drain test. 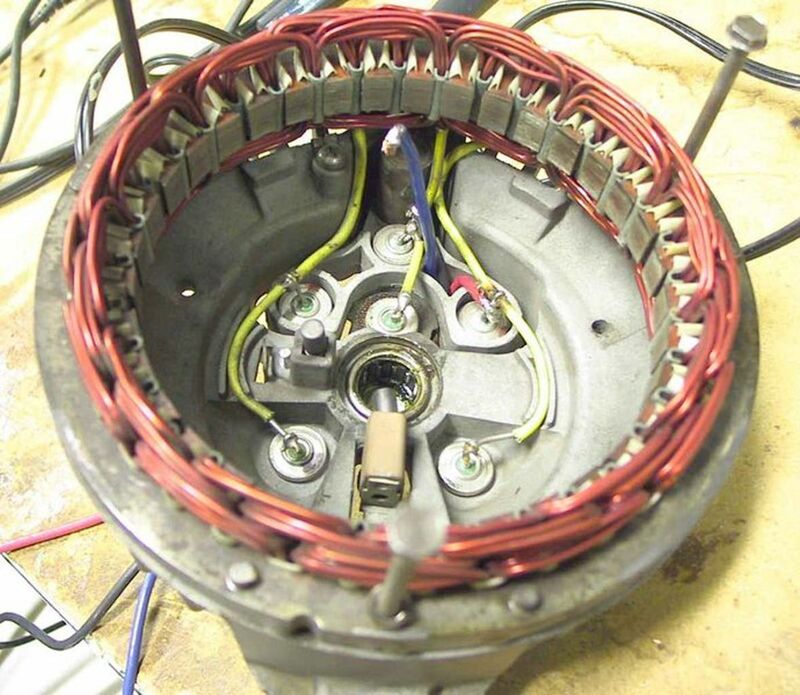 Do an alternator diode test. Check for other potential battery power drainers. Instructions and tips for each of these tests are included below. 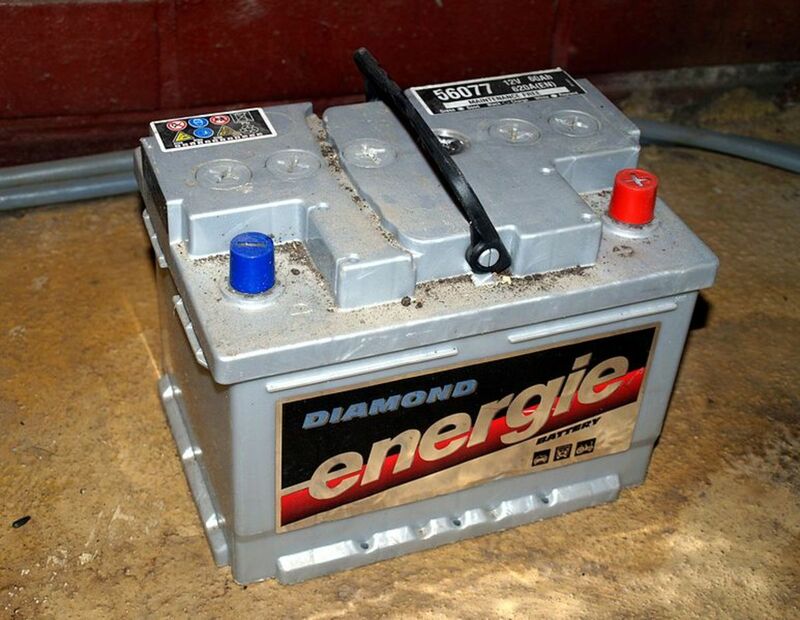 Many times, problems with a battery that will not hold a charge can be traced to poor battery maintenance. For example, you may forget to check battery electrolyte level, check the terminals for corrosion or looseness, or make sure that the battery is held in place to prevent physical damage. Start a battery discharge diagnostic with a visual inspection. A simple inspection may help you quickly spot problems that can lead to battery problems. 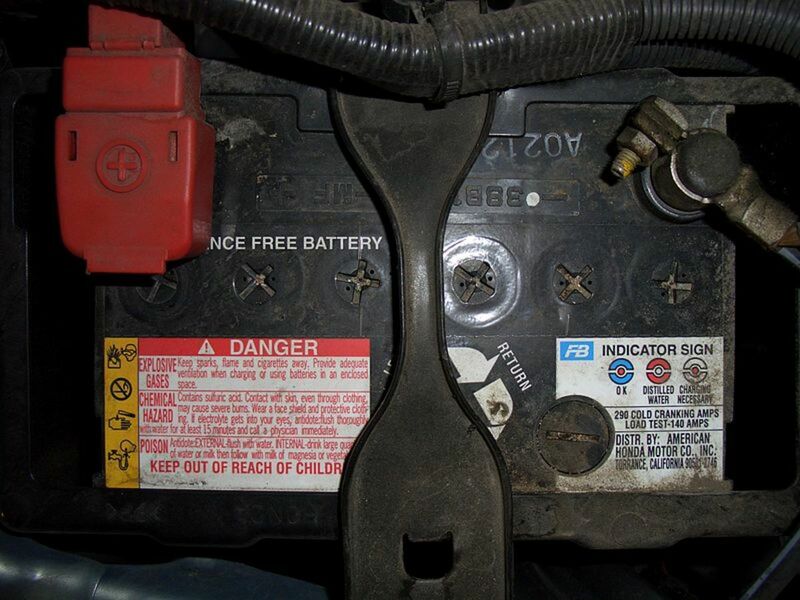 For a better inspection, it is a good idea to disconnect the battery and check it on a bench or similar surface. However, before disconnecting the terminals from the battery, you may want to use a memory saver to keep the computer memory alive and other electronic devices settings (see the Saving Your Computer Memory box below). If you don't want to buy a memory saver now, you can use a 9V battery instead. Connect the 9V battery to the car battery terminals before disconnecting the cables. and check the case for bulging. If the battery is damaged, replace it. Also, make sure all the hold-down hardware is in place and clean the battery tray. 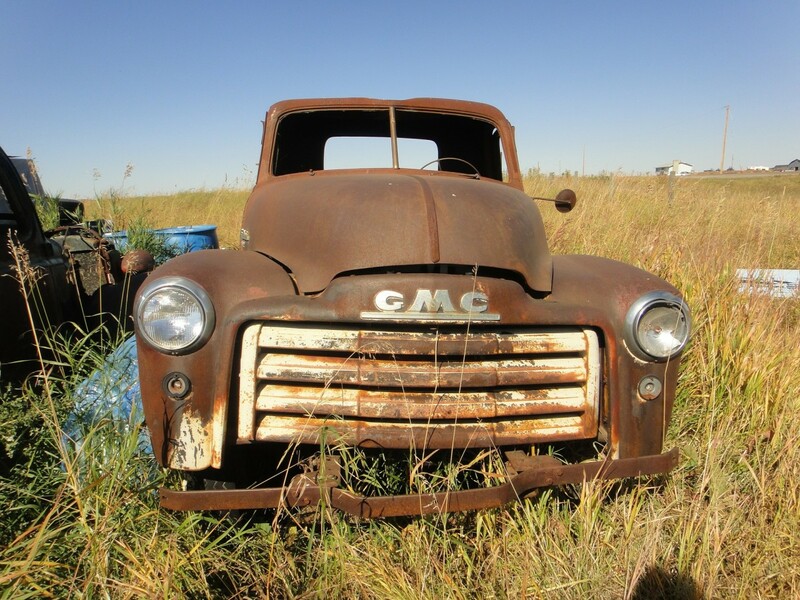 Why Save Your Car's Memory? You can use a memory saver (or a 9V battery) to preserve your car's memory. For one thing, this keeps you from losing settings on devices like stereos. Also, on modern vehicles, the car's computer memory obtains information during engine operation from many different system sensors, including ignition timing and injector pulse width, so that it can improve driveability. If your computer loses this information, the relearning process may take hundreds of miles of engine operation. The battery terminal test helps you check whether your terminals are making good contact with the battery posts. Basically, the test measures voltage drop between the battery post and its terminal. High voltage drop indicates that the charging system has difficulty supplying adequate charging voltage to the battery. This means in turn that the battery has difficulty supplying power to the starting and fuel injection systems and other circuits during cranking and start up time. First, disable the fuel system by removing the fuel pump fuse. To find the fuse, look for the fuse box (inside the cabin) or the power box (in the engine compartment). Removing the fuse will prevent the vehicle from starting during the test. On vehicle models with a distributor, you can keep the engine from starting by disconnecting the ignition coil wire from the distributor. Then you can use a jumper wire to connect the cable to a good ground on the engine (any unpainted metal part on the engine will do, like a bolt or bracket). Set your digital voltmeter to a low setting on the DC (direct current) Volts scale. Connect the negative voltmeter lead to the cable terminal of the positive battery post (the post marked with the '+' sign). Connect the positive (red) voltmeter lead to the positive battery post. Ask an assistant to set the parking brake, put the transmission in (automatic) or Neutral (manual), and crank the engine for a few seconds, just enough to get a good voltage reading but less than 30 seconds. 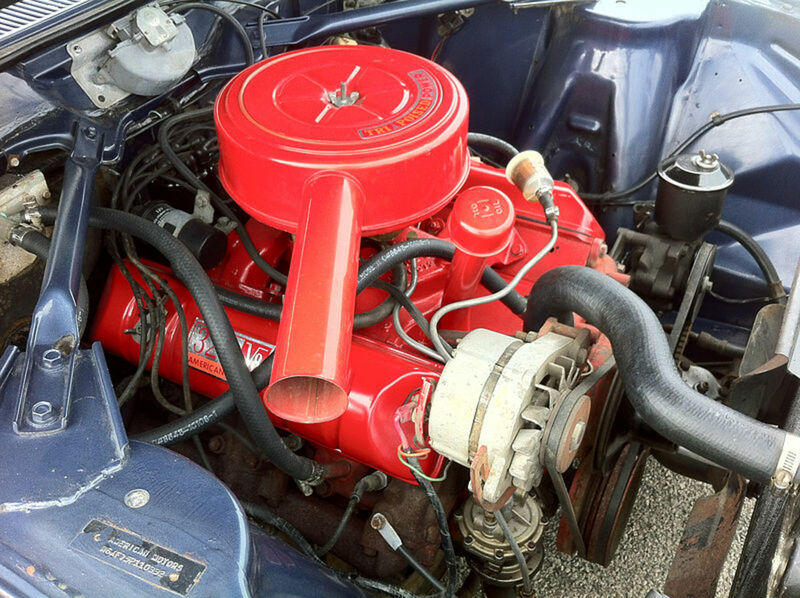 If you have to crank the engine again, let the starter motor rest for a minute or more before cranking the engine again. If your voltmeter reads over 0.1V of voltage drop, the battery connections are either loose or dirty. Inspect the connections for corrosion, looseness or damage. If the terminals are corroded or dirty, refer to the section 'Cleaning Battery Terminals' below. Repeat steps 3 through 6 on the other terminal of the battery, but connect the negative voltmeter lead to the negative battery post, the one with the '-' sign, and the positive voltmeter lead to the terminal. Corroded battery terminals won't allow the starting system to function properly, or the charging system to recharge the battery. Cleaning the battery terminals is a simple procedure. Connect a memory saver or a 9V battery to the cables before disconnecting them to preserve the computer memory and other important settings. Prepare a mixture of 8 oz of warm water and a tablespoon of baking soda in a small container. Use a small, soft brush to apply the solution to the battery terminals and battery posts. Scrub corrosion and dirt off the terminals and battery posts with a battery post cleaning tool. This is a special brush to clean battery terminals and posts. To clean side terminals use a small wire brush. Wipe the cleaning solution off the posts and terminals using a shop rag. After you reconnect the terminals to the posts, apply a thin layer of petroleum jelly or white grease to the terminals and posts to keep corrosion off the terminals. Free maintenance batteries (those without removable caps) come with a charge indicator (test indicator eye) that tells you whether your battery is charged (green eye), needs a charge (no color visible), or the battery needs replacement (yellow eye). The battery voltage test is especially useful on maintenance-free batteries because it can quickly tell you the state of charge and battery condition. 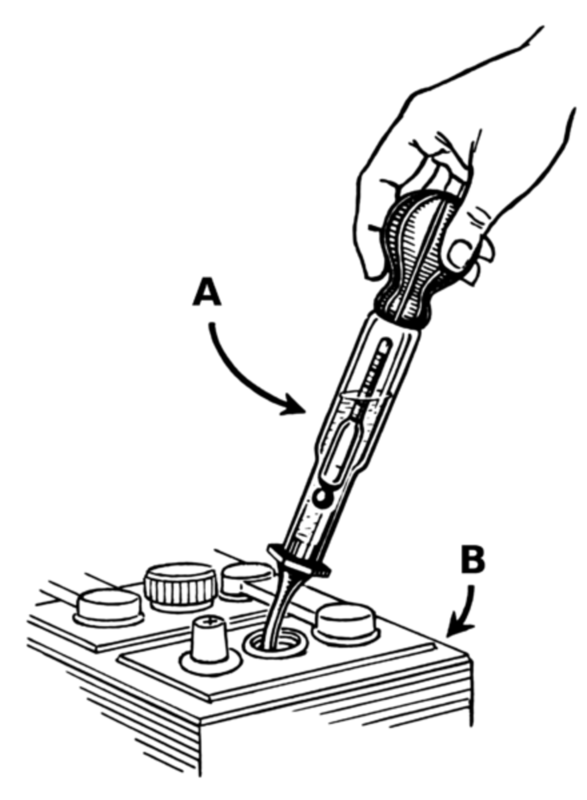 On regular batteries (those with removable caps) you can do a test using a hydrometer, which can also tell you whether your battery is working (see the Hydrometer Test section below). 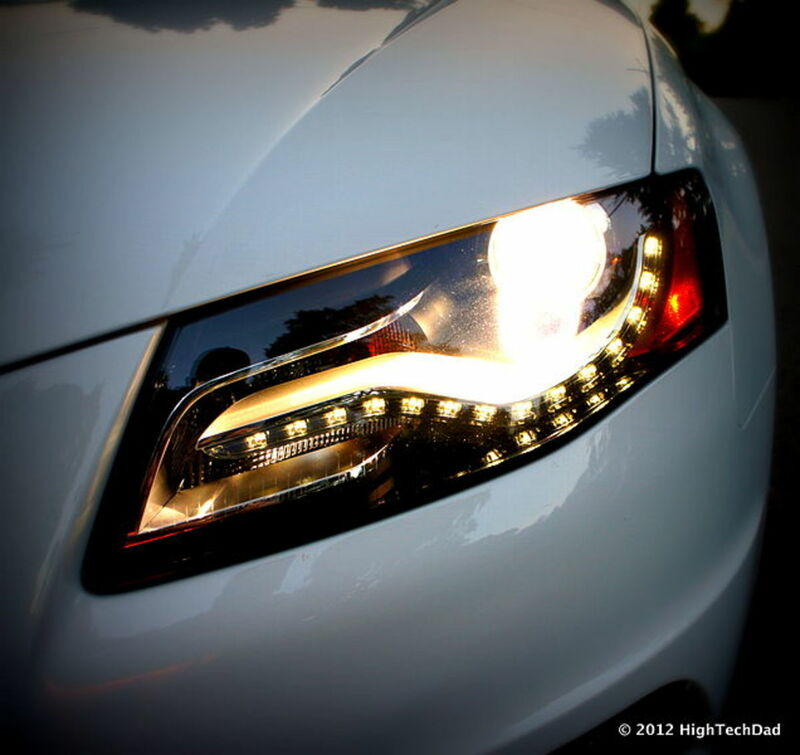 First, turn on the high beams for ten seconds. Then turn them off and wait for two minutes (you want to remove any charge above 12.6V, usually refer to as surface charge). 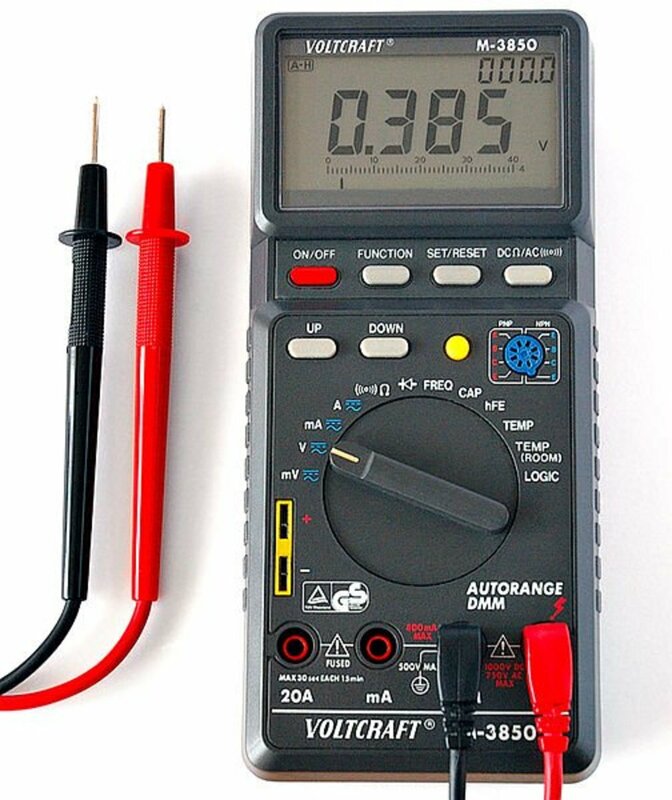 Set your digital multimeter to 20V on the direct current (DCV) scale. Connect the meter across the battery posts. If you get a reading between 12.4 and 12.6, your battery has a good charge. If you were suspecting a battery problem because you had difficulty starting the engine, or you had problems with another electrical circuit, or the alternator warning light on the dashboard is coming on (charging system problems), your problem is not with the battery. If you get a voltage reading below 12.4, the battery is undercharged. It's possible you have problems with the battery itself (see the "state of charge" table below). Charge the battery and repeat the test. If you get the same readings (and problems) after charging the battery, you may want to take the battery to a shop for a battery load test. This is one of the best ways to confirm battery condition. Still, the following tests can shed more light on the condition of your battery before you take your battery to the shop. Continue with the following tests. Another quick test you want to do before proceeding is to do a quick charging system check. Make sure both negative and positive battery cables are properly connected and clean. Set your voltmeter to 20V on the DC scale. Have an assistant start the engine and run the engine at 2000rpm. Connect your meter leads across the battery posts. Your meter should read between 13.5 and 14.5 volts (consult the vehicle repair manual for your model if necessary; Haynes is a good aftermarket manual). Note that you should get a steady reading. If the reading fluctuates, check the charging system wiring for a loose connection; other possibility is a faulty alternator or voltage regulator. If your reading is lower or higher than your specification, than you may have a bad voltage regulator. 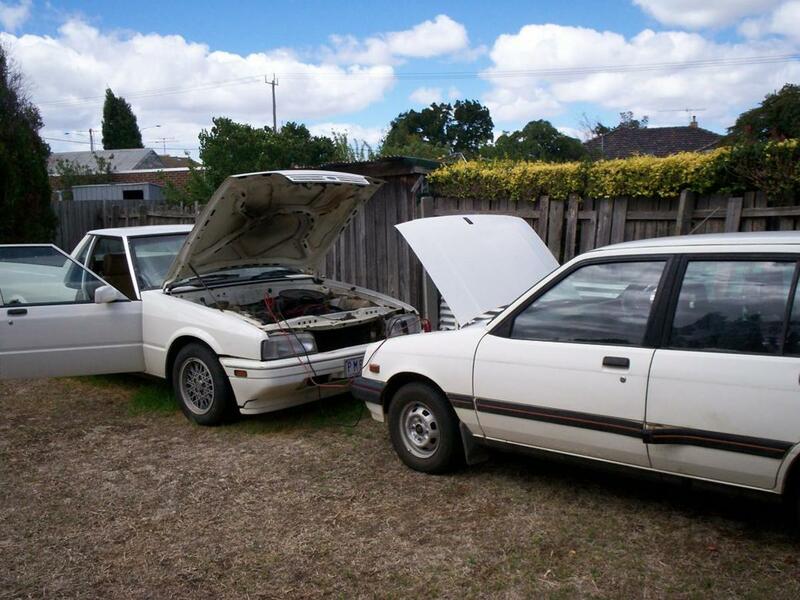 Consult your vehicle repair manual; it might tell you how to do some quick alternator checks. If your battery seems to be in sound physical shape, and has good, clean, tight connections, it is possible the battery is leaking its charge. 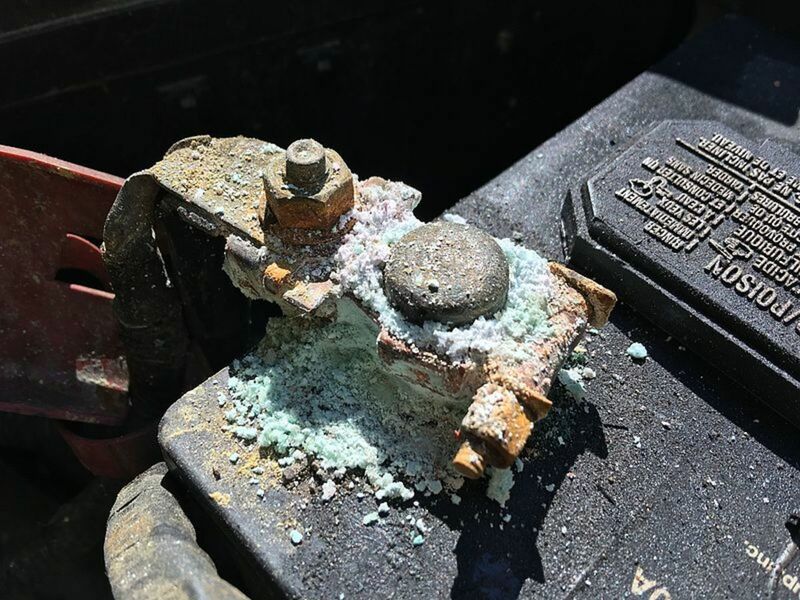 This can happen when you allow the battery to accumulate a layer of dirt or acid, especially around the top. This test is simple and quick. And all you need is your voltmeter. Set your voltmeter to a low setting on the DCV voltage scale. Connect the black meter lead to the negative battery terminal. Touch the battery top at different places with the red meter lead. If your meter registers even a small voltage at any point, your battery is leaking its charge. You need to clean the battery. In a small container, mix about 8oz of warm water and a tablespoon of baking soda. Apply the mixture with a soft brush to the top of the battery and wipe clean the top with a shop rag. If the battery has removable caps, be careful not to let the cleaning solution seep into the battery, or it may get ruined. Make sure the top and the rest of the case are perfectly clean. Repeat the leakage test to make sure the discharge has stopped. Power leaks are not the only causes of power drain on automotive batteries. Another common source of power drains are parasitic loads. A parasitic load comes from electrical or electronic devices that remain active after you shut off the engine and remove the key from the ignition. Practically all modern vehicles use a little power after the engine shuts off, for example for the radio, dash clock, alarm, and computer modules. But these small normal parasitic loads can turn into power drainers if you leave your car parked for a few days without starting the engine. Old batteries are more susceptible to this type of power drain than new ones. Also, abnormal parasitic loads may suddenly appear. These come from electrical shorts or worn out devices that cause a circuit to remain live when it shouldn't—a worn-out or bad relay, or a module or switch that causes a load to remain on after you turn off the ignition switch. If you are not aware of the problem, the parasitic load can drain power off your battery overnight. You can locate many abnormal parasitic loads using a simple method. During this drain test, make sure to keep the doors and trunk closed so that no light bulb or dome light remains on. Also, loosen the under-hood light bulb to turn it off, if necessary. If you detect a parasitic load, you'll need to have access to the fuse box or power box. If the fuse boxes are located inside the cabin, keep the front door or doors open, but use a clamp or similar device to keep the door switches in the off position. You may want to use a memory saver or connect a 9V battery across the battery terminal for this test (see the text box Saving Your Computer Memory above). Set your digital multimeter to read DC Amps. Remove the key from the ignition and keep all accessories off. Disconnect the negative battery cable (the one with the '-' sign next to it). Connect your negative (black) meter lead to the battery negative post. Connect the positive (red) meter lead to the terminal of the cable you just disconnected.NOTE: On some recent vehicle models you may need to wait about 30 minutes after shutting off the engine and connecting the ammeter to allow all computer modules to go into sleep mode. If necessary, consult your car owner's manual. Read the display on your voltmeter. On average, a normal reading should range between 0.01 and 0.5 Amps (it depends on the particular model, number of electronic modules and power devices that remain on after shutting down the engine). Your car owner manuals may give you the normal parasitic load for your car model. If you get a reading above 0.5 Amps or more, it's likely you have a parasitic load. This means a live circuit is draining battery power. If you suspect an abnormal parasitic load, start pulling fuses. Pull one fuse at a time while watching the meter. When the high reading goes down, you've found the problem circuit. You need to check if the circuit has a short or a failed device causing the drain (light bulb, relay, module, etc.). If you don't find the source of the parasitic load by pulling fuses, it's possible there's a problem in the starter solenoid connections or circuit. Disconnect the wires at the solenoid (if you need to detach the battery cable to disconnect a wire at the solenoid, make sure to reconnect the cable); check your meter reading. If the extra load goes away, check the wires that connect to the solenoid and look for a short, damaged wires, etc. One more possibility is the alternator. Unplug the alternator electrical connector. If the voltage reading goes down to a normal 0.01 or 0.02Amps, have the alternator tested. Watch the following video for a visual reference of a parasitic draw test. Like the voltage test, a hydrometer test can let you know the state of charge (and health) of your battery in a few minutes. This test can also reveal a failure. This test is done on batteries with removable caps. The test measures the specific gravity of the electrolyte in each cell. It compares the specific gravity (density or weight) of the electrolyte to the water. Since electrolyte is heavier than water, a hydrometer test can be used to tell whether your battery is charged, discharged or ruined. You'll do this test using a hydrometer, an inexpensive tool you can buy at most auto parts stores or online. Hydrometers come in one of three basic types: ball type, needle type or float type. If possible, get a hydrometer that incorporates a thermometer so that you can compensate your readings to ambient temperature. Follow the instructions that come with the specific tool you use. A fully charged battery will result in a reading between 1.265 and 1.299 of gravity across all cells. The lower the gravity reading, the lower the charge. A discrepancy of between 25 to 50 points between any two cell readings would indicate a ruined battery. Hydrometer results are a general indication of the state of health of your battery. If you need to confirm or do further tests, you may want to have a shop perform a battery load test. This tests are a better indicator of battery performance. Alternators use diodes (in a rectifier) to direct current flow out of the alternator and prevent that current from flowing back. But diodes can go bad. 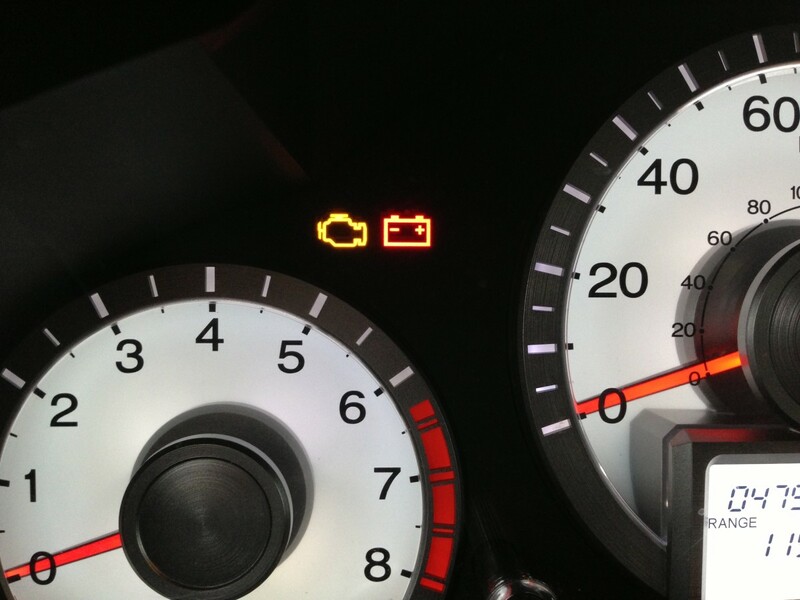 Usually when this happens, you'll see the headlights, dashboard lights and stereo lights dim or flicker during engine operation. And the problem may cause battery power to drain back into the alternator when the engine has been shut off, leaving you with a discharged battery. Set your meter to a low setting on the alternating current (AC) scale. Connect your meter across the battery terminals. If your meter detects even a small amount of alternating current, most likely the rectifier in your alternator is bad and you need to replace the alternator. There may be a problem in the starting system. A short circuit may cause excessive current draw and drain your battery. 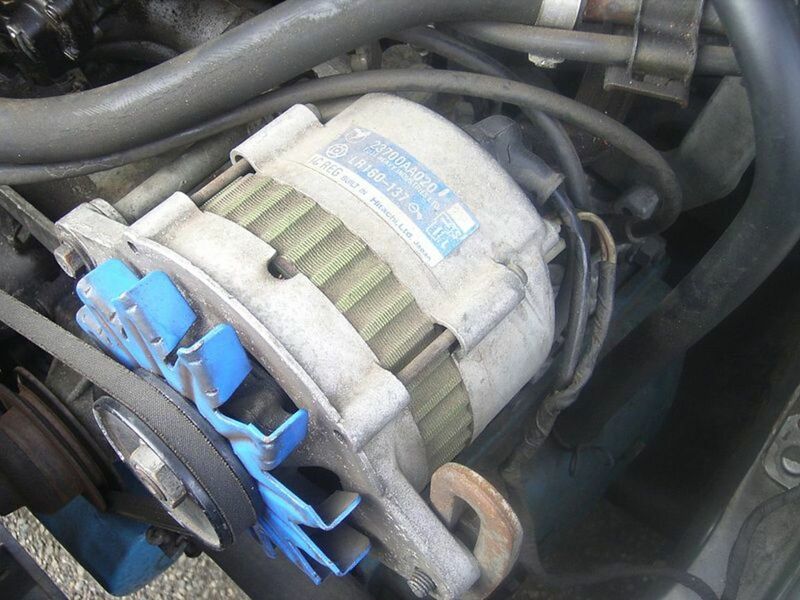 Check the charging system for a loose or worn-out alternator belt, problems in the circuit (loose, disconnected or broken wires), or a failing alternator. Engine operation problems can also cause excessive battery drain during cranking. Batteries do eventually die of old age, but you can prevent your car battery from discharging for lack of proper maintenance: Once a month pop the hood and check the battery terminals for corrosion; check electrolyte level (in batteries with removable caps); make sure the battery is held firmly in its tray to prevent damage; and maintain the battery and terminals clean and tight. Following these simple steps can greatly increase its service life and avoid many of the common problems related to early failure of the car battery. Why has my new car battery drained overnight? Check for a parasitic drain, or a possible fault in one of the electrical systems. Why is my 2004 Chevy Malibu battery losing charge while driving when the battery and alternator are new? Can I drain all the acid and refill the battery with fresh acid? How would I do this? Try using a turkey baster to remove the acid from each cell. We just changed the alternator in my car. My friend soldered all of the wires except for one. He put one of those sleeves on it and just squeezed it together. Could this be draining my battery overnight? Usually, a bad diode or a malfunction allowing current to go from the battery through the field. Winding can cause a battery to drain. Can l recharge my 12V battery with a 60W solar panel in order to reach 12.6V that shows 100% charge? If not, what are the effects on the battery? I don't see any problem but I think you'll need a controler. I've never used one myself. It'll be better to read the manufacturer's documentation for the best set up and recommendations. Could my car have an earth breakdown that causes a battery drain? It could be the circuit itself - if you haven't measured any drains, have the battery checked. It may appear would to a voltmeter, but an auto parts store can check it for you. A bad cell can cause your battery to drain, but it won't be caught by your DMM. Can the security system drain my car battery? 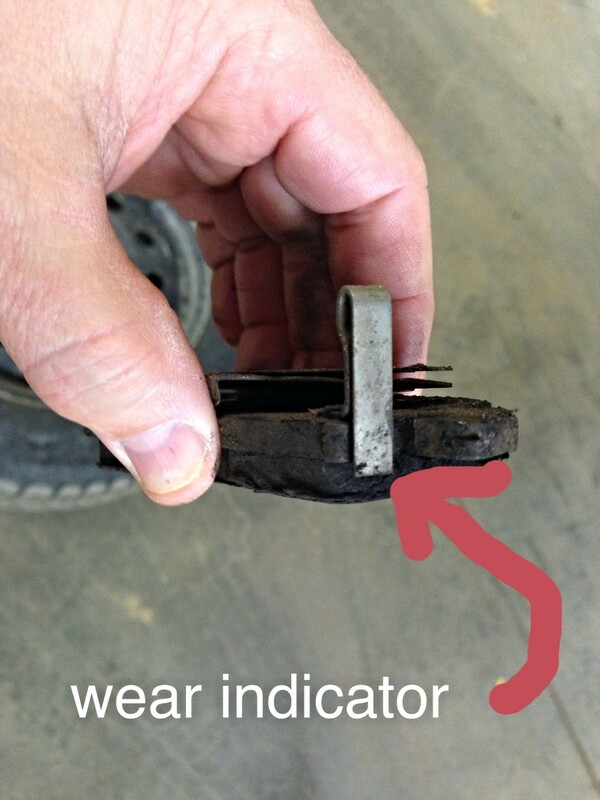 How do you test if an alternator is bad? I have a hybrid Lexus, and my 12V battery discharges if the car is not used for more than three days. Lexus put the new 12V battery in, checked the hybrid batteries, and said they are good. This problem has lasted for five days. Do you have any ideas? I have a scorpio car model 2005. since last 2-3 days my battery is getting down. when i try to start my car it dosent get a current and it wont start. i went into a garage they said the battery power is leaking. something is getting power out of your battery even when you locked your car. This article is very good. I spent a lot of time trying to figure out why our battery was loosing its charge. I did the battery leak test #5, and found voltage leaking. Cleaned the battery top until its at 0 now. I hope this solves the problem. I cannot seem to find out what the normal amp usage when asleep is for my 2015 Toyota corolla. Maybe someone knows. Thanks, Tom. Thank you for the easy to follow sound advice and tips. Thanks for the post. Very technical and useful information share about automotives. This is the most comprehensive and well written instructional material, on batteries, that I have ever come across. Thank you for the time and effort it took to publish this amazing piece.